A trip to Jupiter creek with a sting. Decided to head off to Jupiter Creek again. 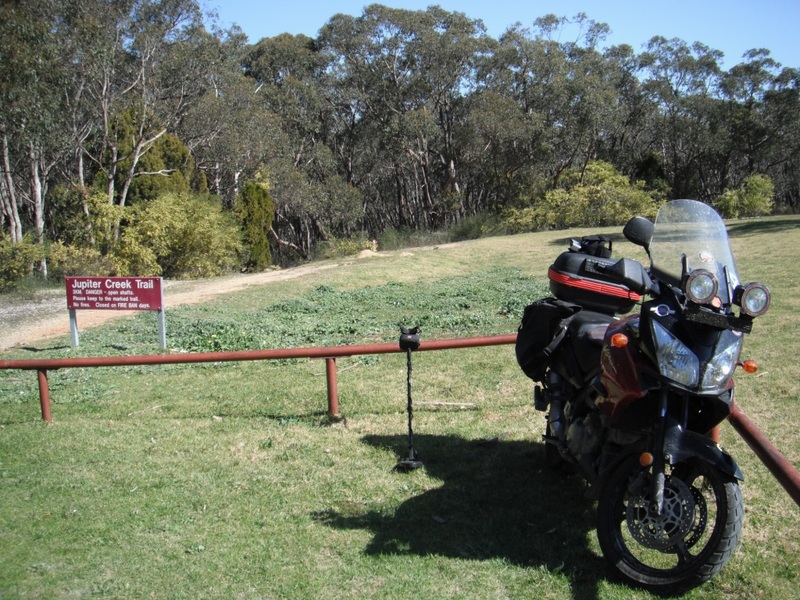 Really starting to treat it more as just a day in the bush, an excuse for a ride, any excuse is a good one. I don’t think the Xterra 705 is to good in the ground at Jupiter Creek and maybe I should look at going to Mount Crawford or even further afield. Anyhow the weather was great and it was going to be another look about up there. So I pack up my bike and off I went. After I got to Jupiter creek it was again time to find something to prop my bike up on as the ground is quite soft this time of the year. So I nosed the bike into the railing that segregates the parking lot from the Diggings area. I readied my detecting gear and stowed my riding gear. I then strolled off down into the diggings area. I had my Gopro with me and took some footage while I was there but I need to edit it a fair amount and then work out how to put it on you tube. Once I do I will post a link. I headed towards Whites Gully as Nenad had pointed me in that direction as it is kinder to VLF machines. I detected along the way. Unfortunately I was digging up the usual junk but then got a strong signal. After digging it I found it was a nipped off nail. Seem to find a lot of these. Not sure what they are from or used for, but will post a picture later. Perhaps someone can tell me. Interesting signs along the way. learn a little of the history. Not to far away I put the detector over the side of a bank of some old diggings. I got a good signal and tried to manoeuvre into a better standing position. I put the detector down and scraped some of the surface leaf and rubbish away so I could get the coil to the ground. I picked up my detector and that is when I realised I had made a terrible mistake. I was about to be in a bit of pain. I had inadvertently stood on top of an Inch Ant nest! I had them coming up my trousers and they were in full attack mode! 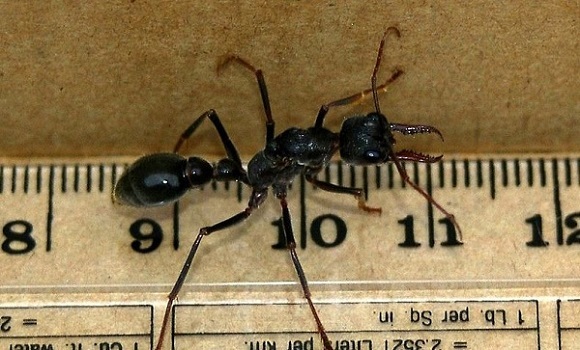 For those of you who don’t know what an Inch Ant is, they are an ant that is 25mm long or obviously an inch long. If disturbed they are very aggressive and give very painful stings. For a chap who is a bit overweight and in his 50s I made a fairly rapid retreat and in the process of removing them from myself was lucky to have only got nailed by them one on the thumb and twice on the belly. Yes they were inside my shirt and all. I must admit it put a bit of a dampener on my day as I was then on the constant look out for Ants. 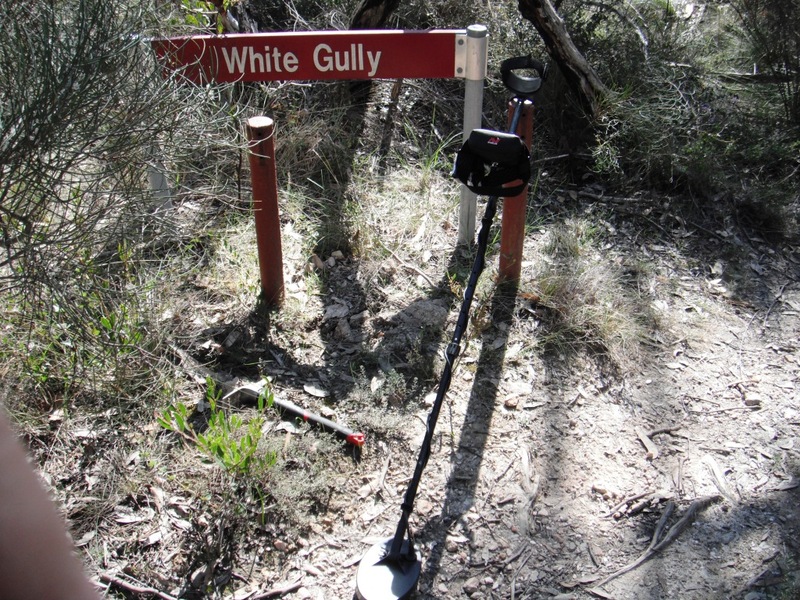 I finally made my way over to White gully and detected in the area for some time without success. 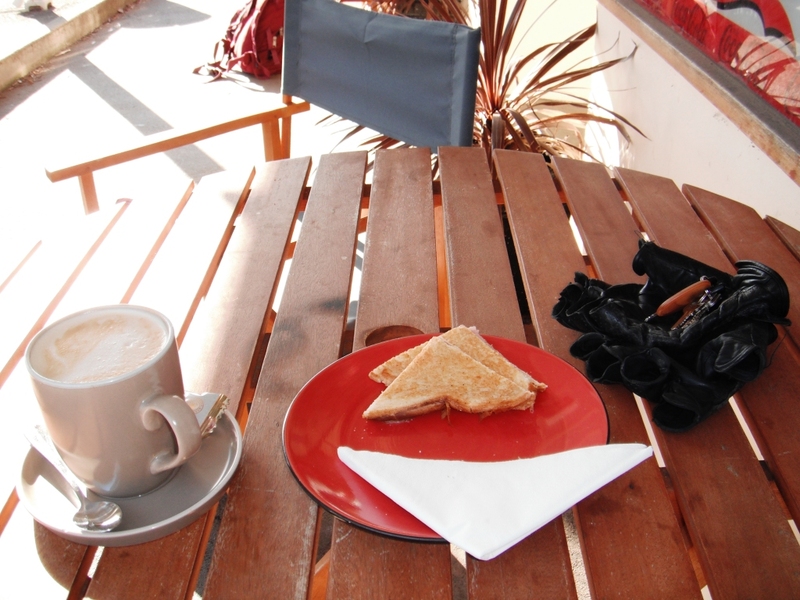 I ended up deciding that I would be better of going for a ride and having some afternoon tea. 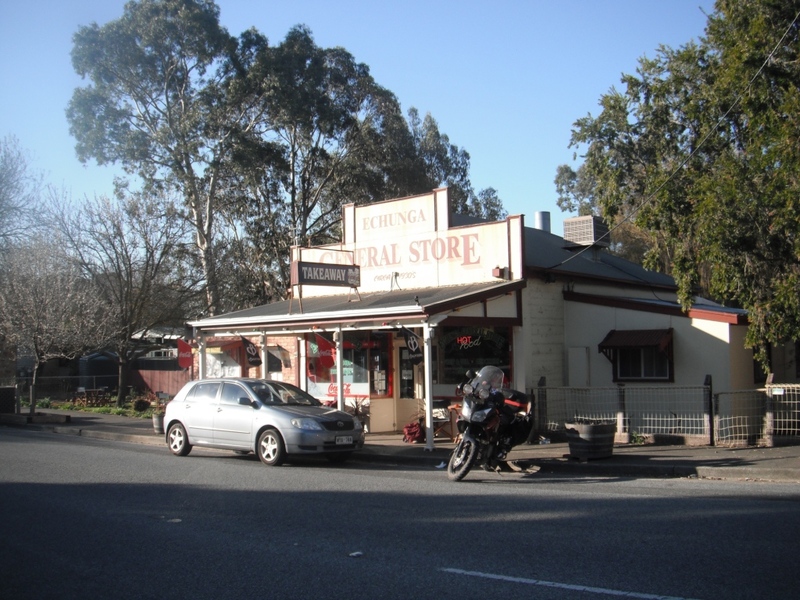 I headed back to Echunga and pulled up at a General Store in the main street that looked a likely spot to have coffee and a Ham and Cheese toasty. So after a very late lunch and a good cup of coffee, I made tracks to head home. Good to hear from you TR. The the Ants are nasty. Any ride is a good ride and it was made better by the great weather. 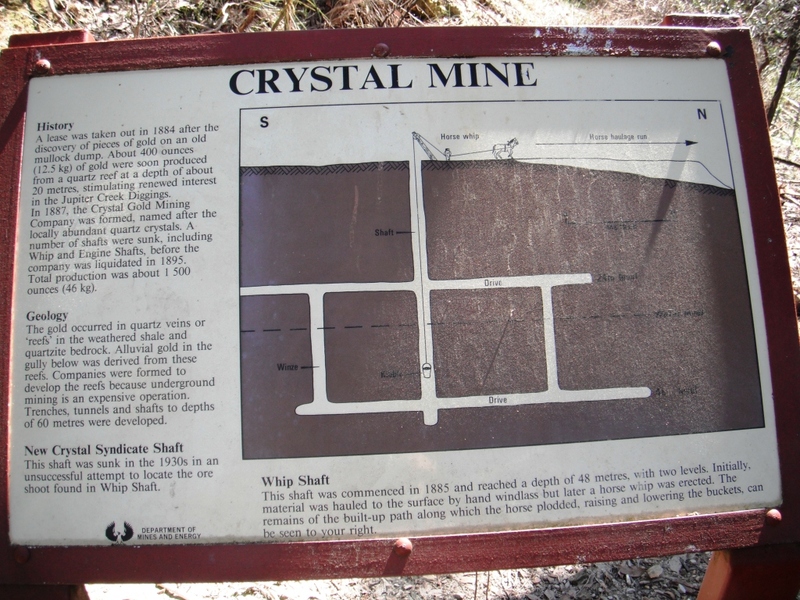 On the mine site at the moment but hope to get some riding done in my break next week. I hope the weather is as good.